The Privacy Advisor | Henriette 'Jetty' Tielemans honored as 2018 IAPP Privacy Vanguard Award winner Related reading: IAPP FAQs: Are GDPR-compliant companies prepared for CCPA? The International Association of Privacy Professionals named Henriette “Jetty” Tielemans winner of its 2018 IAPP Privacy Vanguard Award. Tielemans accepted the award the IAPP’s Global Privacy Summit March 27. Partner at the Brussels office of Covington & Burling and co-chair of the firm’s global privacy and data security practice, Tielemans advises multinationals on all aspects of EU data privacy and security. 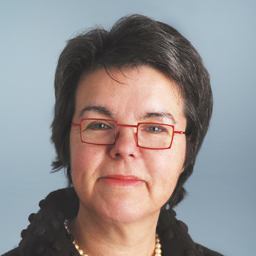 Having opened the firm’s office in Brussels in 1990, Tielemans had her start in competition law but volunteered to lead privacy when it came up, allowing her to become involved from its genesis. When she started in the field, she said people used to ask her what being a privacy lawyer meant. Now, she said, they don’t ask that anymore, as privacy has entered into everyday life. Hughes called Tielemans one of the leading voices on data protection in Europe, and said it was appropriate to recognize the continued expertise, leadership and excellence in the field. He added that Tielemans was an easy pick for the award. Tielemans also serves on the IAPP’s board of directors and on a European Commission-designated five-member expert group, focused on discussions aimed at revising the 1995 Data Protection Framework Directive.